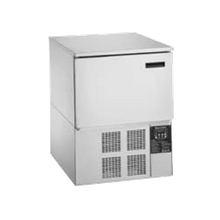 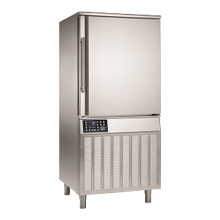 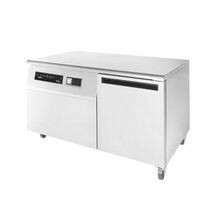 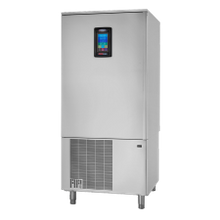 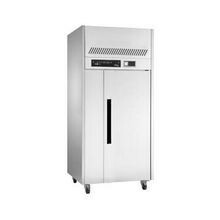 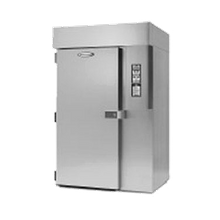 American Panel AP24BCF300-3 HURRiCHiLL Blast Chiller/Shock Freezer, Roll-in, remote refrigeration, accepts (1) mobile rack that holds (24) 12" x 20"
American Panel AP36BC-1T HURRiCHiLL Modular Blast Chiller, Roll-In, remote refrigeration, accepts (1) 31" W x 38" D x 73.5" H trolleys, 360 lbs. 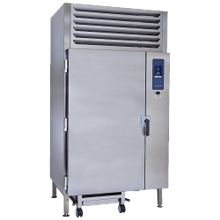 Blast chillers are designed to quickly and safely reduce the temperature of hot food while preserving the appearance and quality of the food. 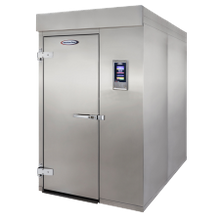 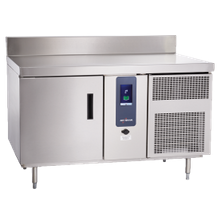 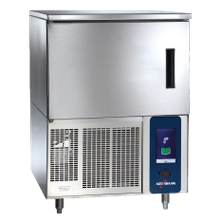 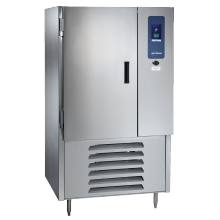 Ideal for foodservice operators looking to save food preparation time and preserve it for up to 5 days, blast chillers use microcrystals to rapidly bring the temperature of food down. 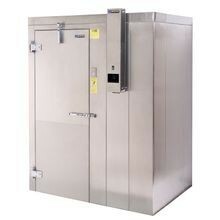 Blast chillers range in size form counter and undercounters to roll-in and roll-thru units. 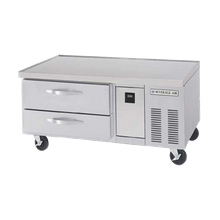 With removable and adjustable shelving, you can configure shelves to best fit your needs. 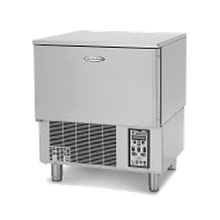 Blast chillers can chill a variety of foods from bakery items to vegetables to meats. 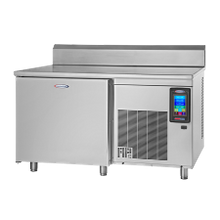 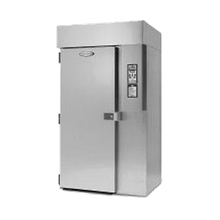 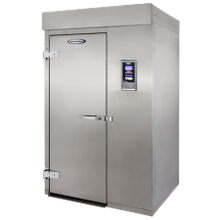 Some units offer hard and soft chilling which allows the operator control over the temperature during the chilling process depending if the food is delicate or heartier. 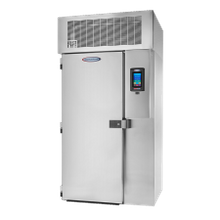 Units monitor temperatures with internal probes for HACCP recording. 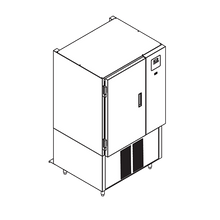 Blast chillers have large compressor units and are available with self-contained or remote condensing systems. 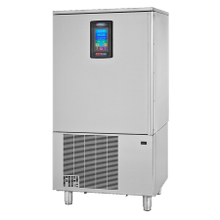 There are also technology options to choose from on blast chillers such as UV-light sanitizing, data recording and printing and independent cooling compartments.